We're very happy to be presenting a special evening at Black Flamingo in August. Tom Blip, head honcho of one of our favorite labels, Blip Discs, is making his U.S. debut at Black Flamingo. Jared will be joining him behind the booth. Not to be missed! Available digitally and on limited edition vinyl. We couldn't be more thrilled to be working with Innov Gnawa on their brand new release, 'Aicha'. We'll be bringing you more details on this beautiful release soon. 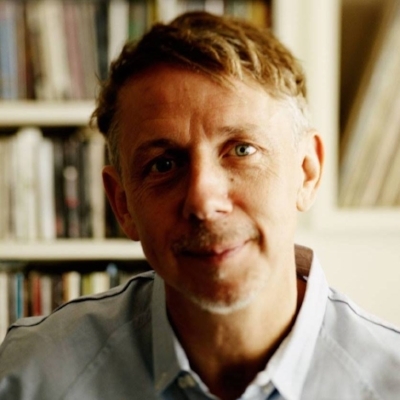 For now, please enjoy this exclusive snippet of standout track 'Baniya', courtesy of Gilles Peterson. Innov Gnawa - Baniya is forthcoming in 2018 on the band's second EP, 'Aicha'. Thank you Gilles! See the full list here. Huge news from Innov Gnawa — their song Bambro Koyo, in collaboration with Bonobo, has been nominated for best dance song at the 2018 Grammy's! Stay tuned for Innov Gnawa's second EP, out on Pique-nique in January 2018. December 21st was premiered on Gilles Peterson's BBC Radio 6 show in October 2017. A limited vinyl run will be available, courtesy of Pique-nique Recordings, in January 2018. Jackson's debut at London's premier new audiophile spot, Spiritland, is up. Stream the four hour set below. It was a real pleasure to contribute one hour of music to Derrick's show this week. Hope you enjoy. Click the image, or here to stream. A great way to round out 2016! Check Stamp the Wax's best tracks of 2016 here and GP's xmas special with Robert Glasper featuring 'Toura Toura (Mr Assister's Assisted Version)' on the BBC here. We dropped by the NTS studio in Dalston a few weeks ago for a radio special focusing on both new and traditional Gnawa music. No chatting with this one - strictly music. Take a listen back to the show here. We are very happy to be gracing the wonderful sound system at Brilliant Corners for the first time this summer! This week we are proud to present our first ever official Pique-nique party in collaboration with Trans-Pecos, one of our very favorite venues in New York! $10 / $12 on the door. New Stockists - Innov Gnawa/Mr Assister 'Toura Toura' 12"
Or you can pick up a copy directly from us at Bandcamp. Sign-up to receive occasional news and updates from Pique-nique Recordings. Here's a tightly packed mix of raw and percussive tunes from Mr Assister in support of our release this week. Featuring some sounds that influenced his 'Toura Toura' reinterpretation as well as his brand new track 'Izma'. Essential listening! "While most of these tracks have their roots in the African continent, I've tried to capture a rawness and percussive sensibility rather than be guided by a geographic focus." You can buy the vinyl directly from us at Bandcamp, where you will also find a full download of Innov Gnawa's debut album. Here is the first hour or so of our set at The Gun in east London on Friday November the 27th, with a snippet of the last tune of the night thrown in at the end, because we couldn't possibly leave it out... "Nuther'n Like Nuther'n" by Willis Jackson. Thanks to Nick for having us and to our lovely friends that came to hang!